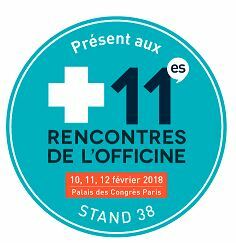 JVM Europe will introduce smart and compact solutions for adherence packaging at the Recontres De l`Officine, held from 10 to 12 February 2018 in Paris, France. Compact machines for pouch packaging and blister card packaging at a reasonable price. Pharmacists can get advice on the pro’s and cons of pouch and blister card packaging, fully focused on the specific situation of the pharmacy. Various rental models will be presented so pharmacies can easily start with automation of their processes.